The highly successful O’Brien Group has secured a foothold in Sydney with the lease rights purchase to Singleton’s iconic Icebergs in Bondi. The internationally renowned Icebergs Dining Room & Bar (IDRB) occupies 675sqm on the top level of the three-storey building standing over the heritage-listed Bondi Baths, built on Crown land, facing north-east across the legendary Beach. In the late 90s the oceanside building was three decades old, and disintegrating due to extensive concrete cancer. A large-scale project to save the building was bankrolled by John Singleton, and his Warpo P/L earned the lease on the top floor until 2042, with rights to sub-lease. 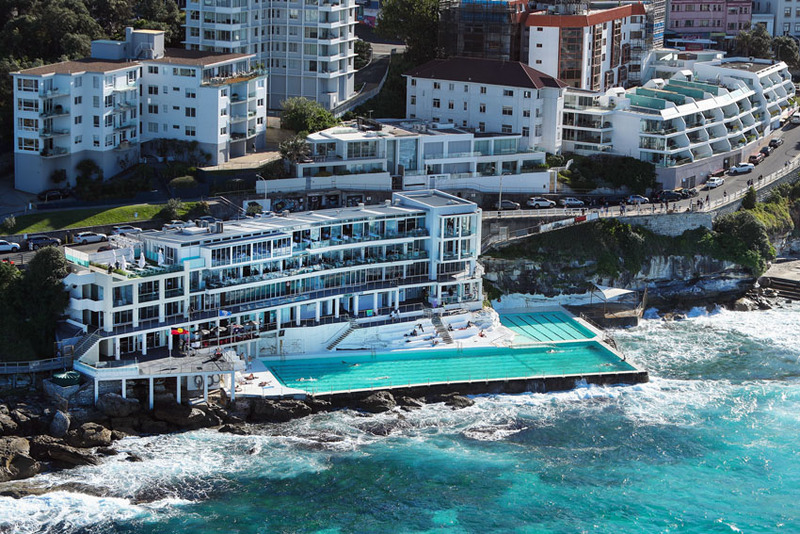 The Icebergs Club, home base to the legendary Bondi Icebergs swim club, occupies the two lower levels. “It’s a true living example of community spirit, and if you go there on any given day, you can’t help but notice what it means to the community and its members,” said Singleton, who listed the asset in September with Ray White amid a market peak sell-down of high-profile Riversdale assets. The former ad-man turned property mogul purportedly stressed the importance of a suitable buyer for the historic space. The O’Brien Group employs over 6,500 people and serves 16 million patrons annually. It is best known for operating some of the biggest hospitality venues in the country, including Brisbane’s Suncorp Stadium and the GABBA, and Melbourne’s AAMI Park. It also owns the freehold title to several pubs, all leased to Australian Venue Company, also in Queensland and Victoria. “O’Brien Group Australia is delighted to add Icebergs to our existing international venue portfolio that we have carefully and proudly collated over the past 25 years,” advised executive director Michael O’Brien. Singo’s unusual Icebergs tenancy was anticipated to sell above $10 million, and the $15 million sale price reported in The Australian represents a tight 5.7 per cent return on the sub-let asset, akin to a blue-chip hotel passive freehold. IDRB is famously operated by celebrity chef Maurice Terzini, who holds a lease for the floor until 2036, including options, currently paying around $850k rent annually. Icebergs marketing leveraged both its geographic and cultural importance, reportedly drawing around half of its many sales enquiries from overseas, although four of the top five were from within Australia. “John patently saw himself as the custodian of an Australian icon over the course of his ownership, and we are very pleased that the successful purchasers are people of significant credibility and long-standing hospitality business ownership in respect of iconic Australian venues,” stated Ray White Asia-Pacific director Andrew Jolliffe, who managed the sale campaign.